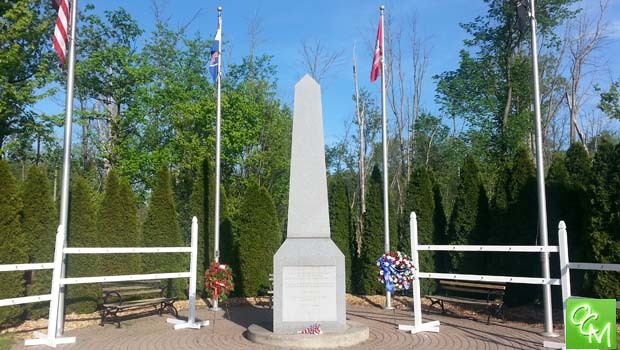 Oakland County Memorial Day Parades 2019 – Memorial Day parades, events, and celebrations in Oakland County MI to honor those that died serving our country. Memorial Day is May 27, 2019. In addition to Memorial Day Weekend parades and ceremonies, Oakland County Moms has put together an Memorial Day Weekend Family Fun Page for more Metro Detroit events taking place this Memorial Day weekend in Oakland County. The City of Southfield will be holding a Memorial Day ceremony at City Hall at 9a. The Memorial Day Parade begins at 10a at N of Dartmouth and John R, travels north along John R to 13 Mile, and will conclude in front of City Hall. People are asked to bring their own lawn chairs, and sit along the parade route. For additional information call Martha Kehoe at 248-548-7929. Prior to the parade, everyone is invited to attend the Community Pancake Breakfast at the Senior Citizen Center (located at 29448 John R) from 8a–10a on Memorial Day. All you can eat pancakes will be available for a fee. Organized by VFW Post 2502. The parade launches at 9a from Bartlett Elementary and makes its way down 10 Mile through downtown. The parade ends in the South Lyon Cemetery with a ceremony that commemorates the contributions and sacrifices of all veterans. The annual observance of Memorial Day in Shain Park includes addresses by the Mayor and State Representative, patriotic music, and introduction of veterans. For more information, contact 248-258-9007. Join Clawson American Legion Post to honor fallen heroes with a brief ceremony in honor of the fallen men and women in service. Parade will travel one mile west on Grand River. It will end at Oakland Avenue where a ceremony will take place at the Farmington War Memorial Monument in Memorial Park. The Parade Committee is looking for volunteers who would like to join the team and help organize and manage the event. For more information, visit the American Legion Post 346 website at www.memorialdayparade.us or call 248-478-9174. Memorial Day parade begins at 10a at the corner of John R Rd and 8 Mile Rd. After the parade, join the fun at the Memorial Festival Carnival. A ceremony will be held at 9a at the City Hall Memorial Site For more information contact 248-546-4092. The Annual Holly Memorial Day Parade will begin in Downtown Holly and march over to Lakeside Cemetery for Memorial Day Services. Parade line-ups begin at 9a, parade starts at 10a. VFW Post 4012 presents the 2019 Memorial Day Parade. Parade steps off at 10a sharp from Northville Downs at Main and Griswold. The Memorial Day Parade has been a Novi community tradition, honoring those who made the ultimate sacrifice for our nation. Novi civic organizations, businesses, bands, scout troops, and families are encouraged to march and showcase pride and spirit. To be part of this great community event that also honors Veterans and those currently serving, call 248-347-0414. Parade route is along 10 Mile Rd. The City of Troy is holding their Memorial Day Ceremony at 11a at Veterans Plaza in front of City Hall. The annual Memorial Day parade hosted by the Heart of the Lakes VFW post 1008. If you are interested in your group being in the parade, please contact Donna at the VFW Post, 248-674-2826 to register. The parade begins at 11a in the east parking lot of Groves High School, travels north on Evergreen to Beverly and concludes at Beverly Park. Carnival follows the Parade at Beverly Park from noon-2p. a Memorial Day Parade on Broadway at 11a, and the annual Memorial Day Ceremony at the Orion Veteran’s Memorial at 1p. If you are interested in participating or marching in the parade, please contact 248-202-6198. The Annual Milford Memorial Day Parade will take place on Main Street in Downtown Milford. Begins at the American Legion Hall on Commerce Rd. The Parade will begin at 11:30a at City Hall and end at Memorial Park with a brief ceremony. Kids are welcome to decorate their bikes and participate in the parade. Veterans that wish to participate are asked to contact Jim Smith at 248-904-9085 to be recognized at Memorial Park ceremony. separate programs to honor veterans. The first event will take place at Mt Avon Cemetery in Rochester at 9a followed by a second program at Veteran Memorial Pointe in Rochester Hills beginning at 10:30a. If you have questions or would like to assist the committee, please call 248-656-4664. Parade will start at Woodward & Maplehurst south to Nine Mile Rd, west to Livernois and to the Veteran’s Memorial. Spectators are welcome to bring lawn chairs and set-up on the sidewalks of West Nine Mile Road and on the Woodward median from Maplehurst to Nine Mile Rd. No tents are permissible. The parade begins at the American Legion Hall on Churchill, proceeds to the cemetery and them back to the Legion where a community picnic. For more info, call 248-852-4880. A ceremony to honor veterans. This Oakland County Memorial Day Parades is intended to be used as a guide. Oakland County Moms does not endorse these events. Oakland County Moms is not responsible for changes to event descriptions, event times or details being altered without notice or cancellations. All research and formatting for this Oakland County Memorial Day Parades page provided by Oakland County Moms. Unauthorized duplication of this content without express consent is a violation of our Terms and Conditions and Data Security policies. Violators will be reported to Google Support for infringement violation of our hard work and research. More Oakland County Memorial Day Parades info coming soon.